Sylvianne Pilon at Université du Québec à Montréal (UQAM) has recently completed an interesting study that compares and contrasts the video game industries of Montreal, Lyon and Los Angeles and discusses the role of culture. The main conclusion of this research is that cultural relativism of urban regions may act as centripetal forces toward anchor firms, create a favorable context to the emergence of industrial districts, and act in their evolution. I also proposed that the relative importance of economic location factors, such as agglomeration economies and knowledge externalities from the agglomeration of related industries (e.i. information technology, digital animation, film, musique, television), from the pool of skilled and creative workforce in art and technology (the most significant location factor conducing to value creation in video games), and from institutional infrastructures may be seen as products of urban regions cultural relativism. First, because the economic location factors emerged from urban regions historicity: a significant cultural feature. Second, the artisans of the urban region cultures act into the evolution of the relative importance of economic factors, and, therefore, in the evolutionary patterns of industrial districts. Overall, these results show that a cultural perspective of the genesis and the evolution of industrial districts provides a better understanding - by going beyond economic location factors - of why industrial districts emerge in certain, not all, urban regions. I also believe that the cultural relativism of urban regions offers an additional and meaningful perspective to understanding why some urban regions are «cauldrons of creativity» (Florida, 2005, p. 159), and, therefore, why industrial development occurs, albeit in a selective pattern, despite the globalization of the economy. The full paper (in French) is available here. Sylvianne has written a short synopsis (in English) here. So, where does all that different firm productivity come from? Why, from technology of course. (It is the "canned" answer, but it does explain at least part of the difference.) Both, me and my dissertation would argue that other innovations, including management skill, also plays an important role. To the displacement (nice way to say elimination) of 60% (yep, SIX-OH percent) of the current U.S. workforce (or at least the jobs they are doing). In Projecting the Impact of Computers on Work in 2030, Elliot organized data on 93 of the 96 groups of occupations used in the Department of Labor’s Standard Occupational Classification system (information was not available for military-specific occupations). For each of these occupational groups, values were then provided on a seven-point scale for four types of skills: language, reasoning, vision and movement. Using information about current artificial intelligence research and postulating on the exponential increase of computational processing power in the future, Elliot paints a picture of the functionality of computers in language, reasoning, vision and movement skills by 2030. As computers are able to complete certain tasks faster and more cheaply than humans, those tasks may shift from human performance to computer performance. For example, the study predicts that 90 percent of current office and administrative support occupations will be displaced by technology in this period. But not all occupations are expected to fair the same. Legal occupations, including lawyers, are only predicted to see 6 percent of their jobs displaced. [T]he number of U.S. science and engineering (S&E) articles in major peer-reviewed journals flattened in the 1990s, after more than two decades of growth, but U.S. influence in world science and technology remains strong. The report, Changing U.S. Output of Scientific Articles: 1988 - 2003, finds changes occurred despite continued increases in funding and personnel for research and development. Flattening occurred in nearly all U.S. research disciplines and types of institutions. In contrast, emerging Asian nations had large increases in publication numbers, reflecting their growing expertise in science and technology. European Union totals also went up. So, the U.S. is basically spending more to achieve exactly the same thing? In "The Geographical Processes behind Innovation: A Europe-United States Comparative Analysis " Riccardo Crescenzi, Andres Rodriguez-Pose, and Michael Storper look at the question of whether or not the spatial distribution of innovative factors can explain the "innovation gap" between the U.S. and Europe. The higher mobility of capital, population, and knowledge in the US not only promotes the agglomeration of research activity in specific areas of the country but also enables a variety of territorial mechanisms to fully exploit local innovative activities and (informational) synergies. 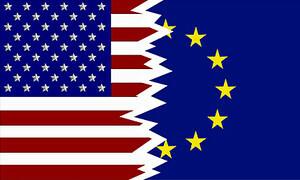 In the European Union, in contrast, imperfect market integration, and institutional and cultural barriers across the continent prevent innovative agents from maximising the benefits from external economies and localised interactions, but compensatory forms of geographical process may be emerging in concert with further European integration. 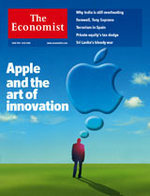 The Economist has a short but insightful article about what other companies should be learning from Apple. "Not Invented Here" is very welcome. Design around user needs and not the technology. (Sometimes) you have to lead rather than listen to customers. Fail wisely -- almost every Apple success follows a failure.